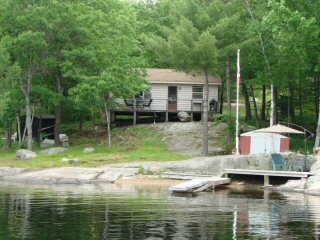 This cottage is one of the few that you can drive to. Three bedroom cottage with a 3pc bathroom. The Kitchen, Dining, and Livingroom are open concept. 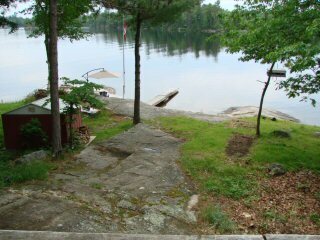 Gentle slope to shoreline, great swimming, swim raft, dock. There is a marina on this lake. Come and enjoy a great family vacation!